Kody, age 31, is from Foyil, Oklahoma. 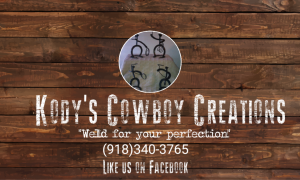 He graduated from the seven-month Professional Welder program at Tulsa Welding School in October 2017. What had you been doing before you enrolled at Tulsa Welding School? I’d been driving 18 wheelers cross-country for nine years. It got to a point where I got tired of it and said enough is enough. It was time for something different. What made you decide to go to welding school? I was out of a job—I wasn’t doing anything—so I thought I might as well join them. I had nothing better to do, so I thought, “I’m going for it!” That way I can say that I went to and finished a school. Did you have any welding experience or welding knowhow beforehand? I’d tried welding in the past, but I really couldn’t do it. I couldn’t continue a bead to save my life! What did you enjoy most about your time at Tulsa Welding School? It would be the amount of hands-on work and the awesome faculty up there. I’m a hands-on learner; bookwork is not my deal. You watch what the teachers are doing, and then you go back to your station and do the same thing and turn it in. They’ll say “yea” or “nay.” If they say “nay,” you go back and do it again until it looks good. You’re always learning about different rods, different amperage and volts and the wire speeds. I just enjoyed pretty much everything about the learning up there. The faculty and staff are also really good to the students. I couldn’t complain about them if I tried! So who do you work for now? I work for the Autoworkers Union at the International Bus Plant. I weld school buses and work Monday through Thursday, 5 a.m. to 3.30 p.m. I’m off Fridays, Saturdays and Sundays. This is my first welding job. I weld the fronts and the rears of buses; where the exit doors are in the back, I put all that in. When they put me to work at the front, I weld the driver’s window and the main door. The whole front cowl is one piece; we bring that in and weld it to the floor of the bus. I had the job two days before I graduated Tulsa Welding School. The school got me the job. The people at Career Services called them to say they had a guy who might be qualified. I took my weld test on Wednesday, graduated school on Friday and started work on Monday. How did your first welding paycheck compare to your truck driving paycheck? My paycheck doubled! I didn’t do anything special with it. I bought a couple of work shirts and some welding materials, but I didn’t go crazy. If I make a Dollar, I try to double it. I love making things. I bought a little flux core welder off Craigslist in July. If I’m not sleeping or eating, I’m welding. I enjoy it. I don’t see welding as work. I see it as fun and I’m getting paid for it. 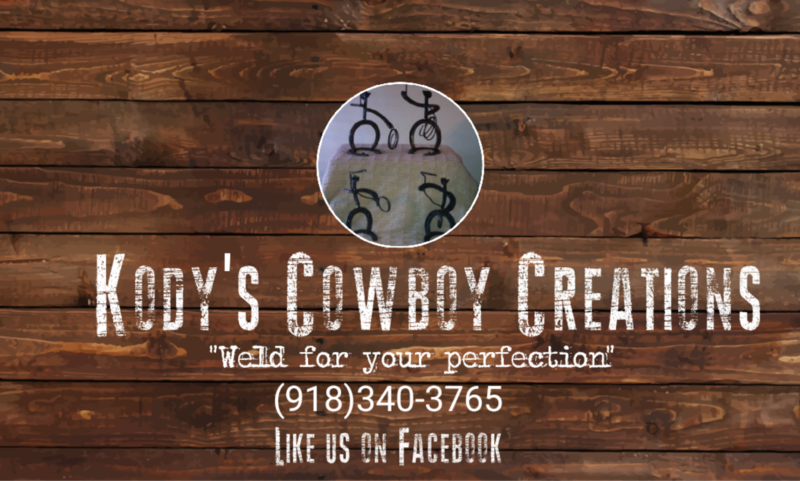 Now I have my side business— Kody’s Cowboy Creations—and I make rustic horseshoe arts and crafts like candleholders, towel racks, towel holders, coat racks, paper towel holders and all kinds of other things. Right now I’m selling them on social media, but hopefully it will pick up. Business is steady; I get maybe four orders a week. Is your long-term career goal to have your own full time creations business? I love my job up at the plant. I really do. I work with good people up there. It’s fast paced, but once you get the hang of it, it goes smoothly. Fast work makes the day go by quick. On the long-term side of things, I do hope to have my own full- time family business. I’d like to get to a point where I have a couple of hired hands with me. I’d love to retire by 50. Don’t give up. That’s it. Frustration may occur, but take a quick breather and get back to it. Always give 110%. A good strong will can get you through; just give it your all. This was my second attempt to go to the school. 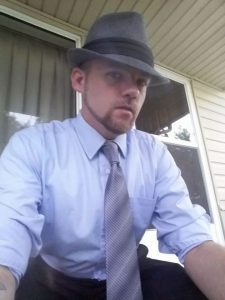 I went through depression. In December of 2016, I put a revolver to my chest and pulled the trigger. The doctors released me in March of 2017, and that’s when I attempted the school again, this time successfully. I graduated seven months later in October. Do you think welding has helped you get to a better place in your life?